This exercise took some time to come together. It was a staggered creation, with some aspects added in as I discovered source material.. 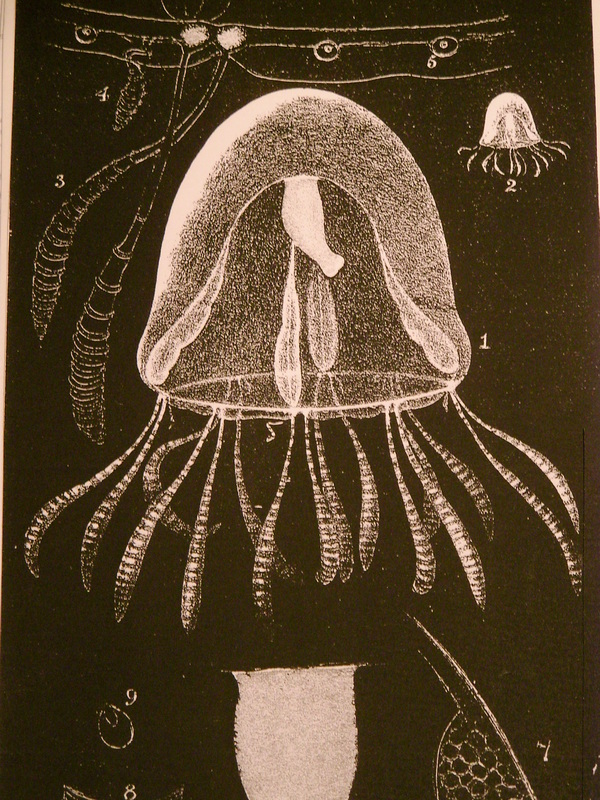 I found it difficult to access any good quality anatomical drawings of animals initially. 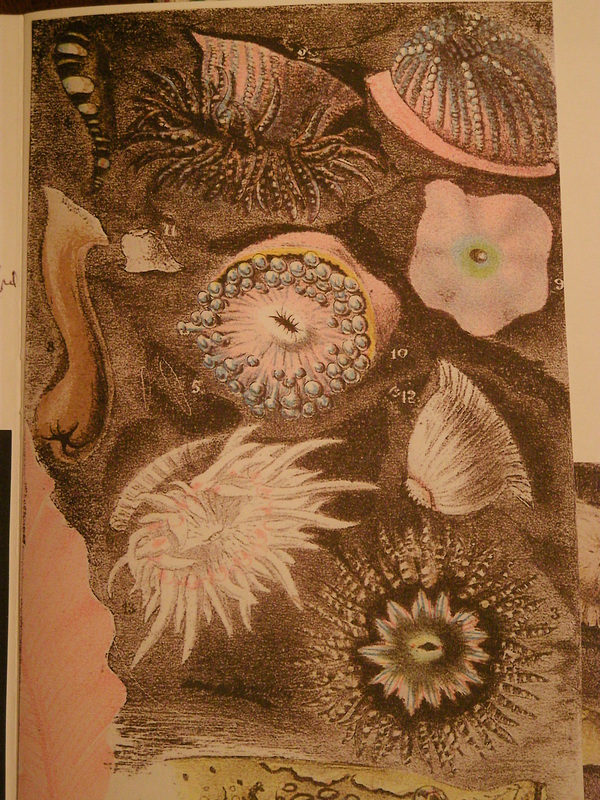 I managed to borrow from the library a very old book ‘Animal Painting and Anatomy’ by Frank Caulderon (1936) London Kimble and Bradford, and some images online. 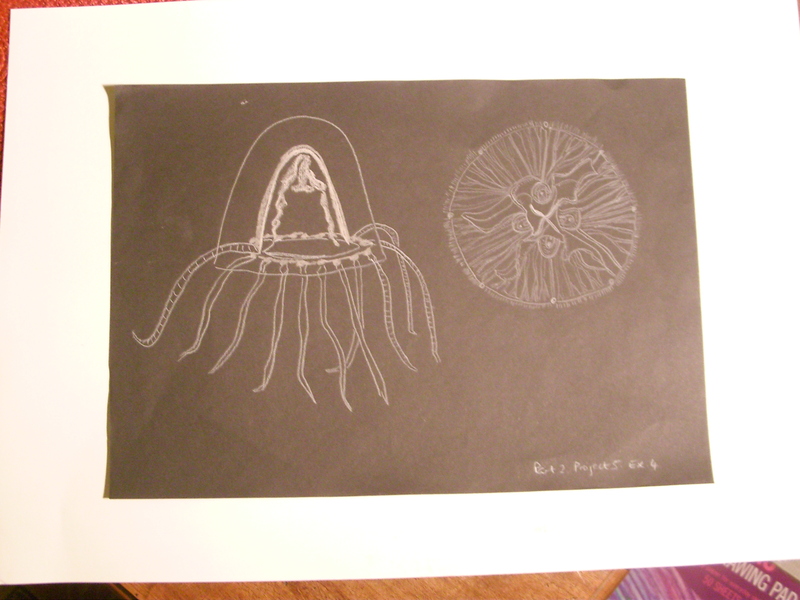 These were drawings of mammals and I was not keen to try mammals at this point, as I was not sure how I would develop away from the original drawings. 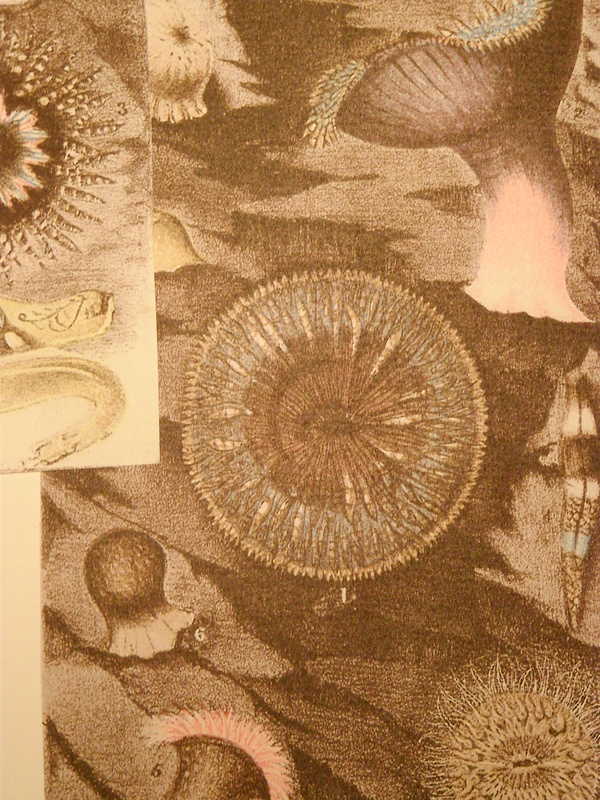 Then I found some beautiful watercolour and collage works by Philip Gosse, and was led to a book by him containing his drawings of sea life: ‘A Naturalist’s Rambles on the Devonshire Coast’. 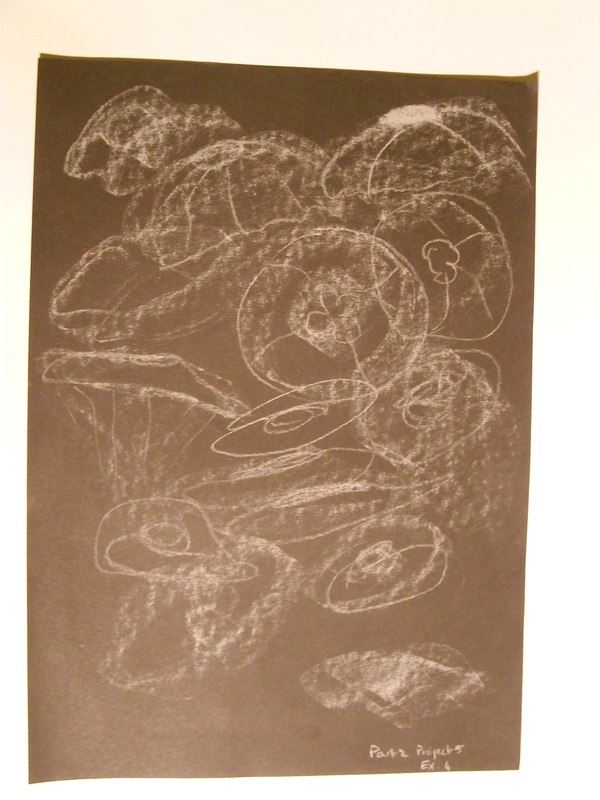 I made some chalk drawings on black paper from these. 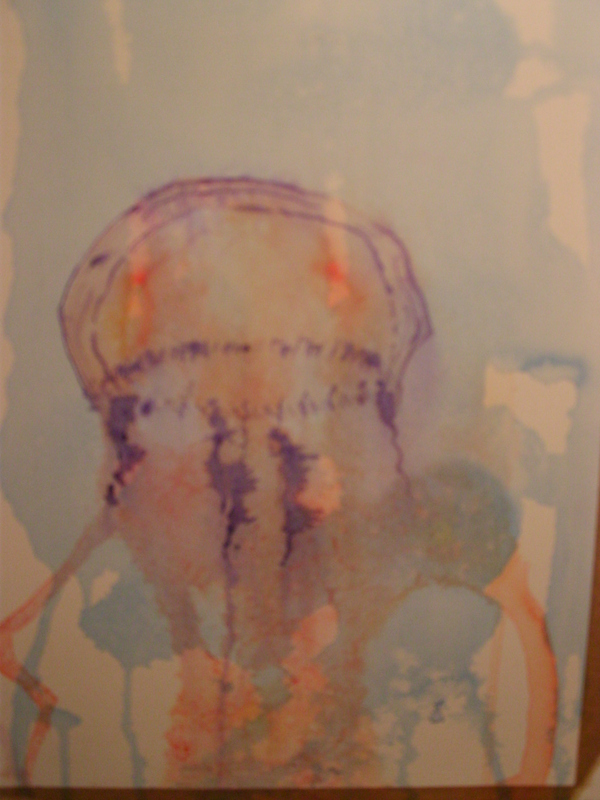 I wanted to convey the quality of the floating weightlessness of a jellyfish and its watery environment, so I experimented with acrylic ink to produce the image below. I used an irregular wash of diluted blue acrylic ink onto damped watercolour paper, then added an equally dilute orange in spots and sprayed with water, to give the impression of transparency. 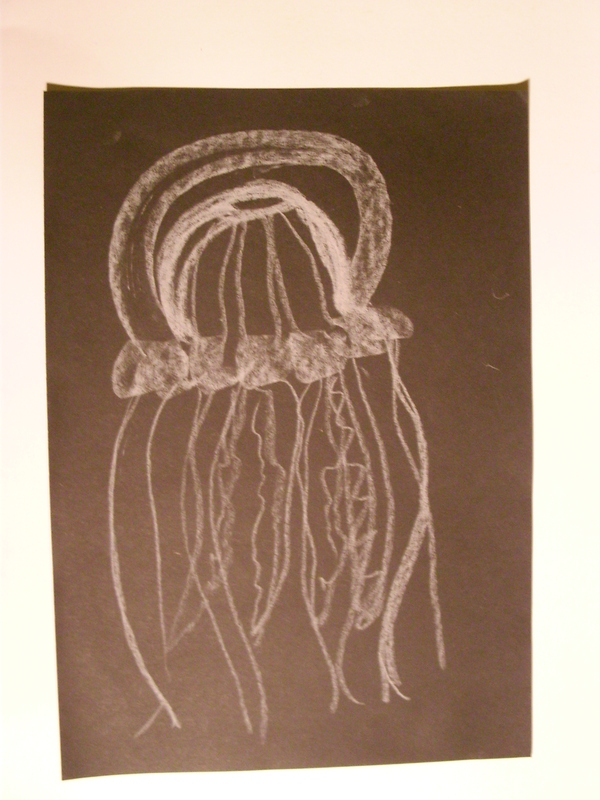 Lastly I drew roughly with a stick, using less diluted violet to form the jellyfish and sprayed againg in places. 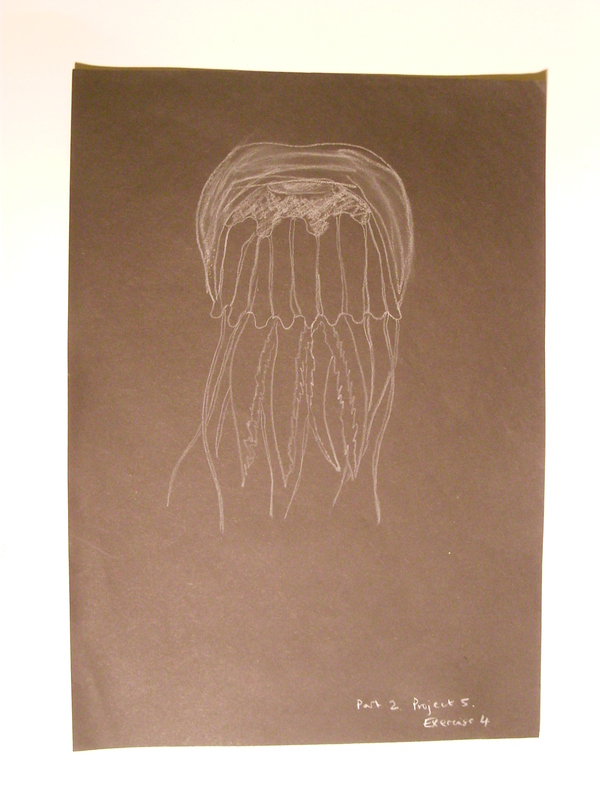 I think it is naive, but gives the impression of floating and transparency in a crude fashion. 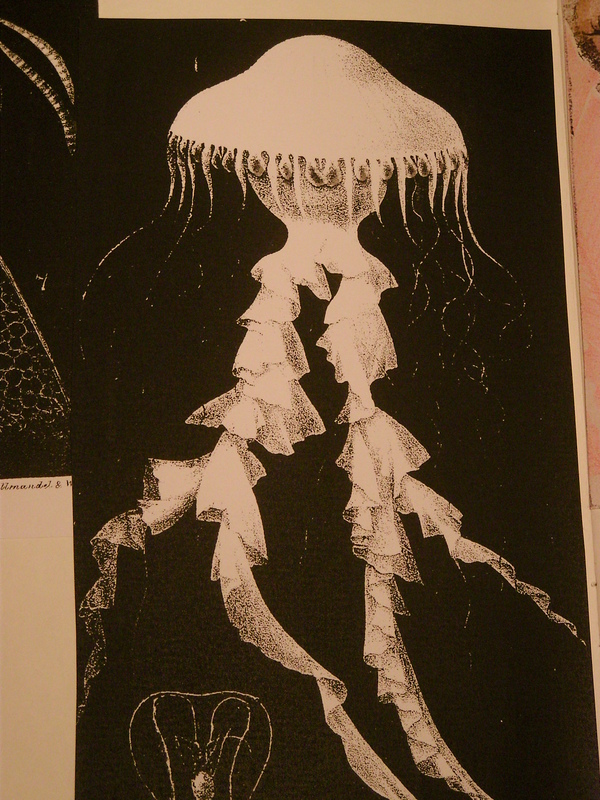 It is very far from the precise and delicate drawings of Philip Gosse.